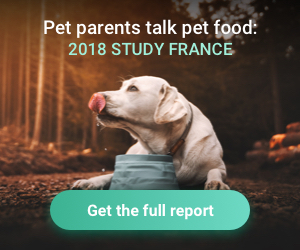 A recent study by Explorer, the market research platform from Yummypets, examines the inner workings of French pet parents and their relationship with pet food. 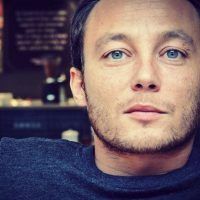 The study uses the findings to identify 8 unique pet parent ‘personality profiles’ that shape the pet food market. The study brings together insights from 1,350 dog and cat pet parents, leveraged from the Yummypets community of more than 1.3 million members from over 40 countries worldwide. In a rapidly changing consumer environment, customers continue to put businesses under pressure to adapt to and meet their ever-changing needs. The same applies to the wants and needs of pet parents and their beloved pets. Pet food continues to be the major driver of growth for the wider pet industry. But what factors influence how this growth evolves and why? Explorer’s 2018 Pet Food Survey delves into the key topics pertaining to the thoughts and behaviors of pet parents in relation to pet food: hurdles, needs and habits. These insights reveal a common thread between dog and cat pet parents in France, highlighting eight different consumer typologies, or ‘personality profiles’, that influence the industry’s growth. Let’s explore some of the study’s insights. 1. Choosing the right pet food is the biggest hurdle for pet parents to navigate, above financial outlays, and eductation and training for their pet. Source : “Inside a Pet Parent’s Mind – 2018 Pet Food Study Report” Explorer by Yummypets. 2. For pet parents a “good” pet food is one of high quality, is well balanced and healthy. The study underlines a stronger interest for naturally healthy pet food amongst pet parents under 40. They seek more natural food choices made with real meat, and nutritious, grain-free ingredients. 3. While mass-market retailing remains the most popular purchase channel for pet food, internet retailing outstrips pet specialty stores to take second place, offering pet parents with a broader range of specialty foods. Analysis of the data reveals clear similarities between both dog and cat pet parents. Of the eight personality profiles identified, we are introduced to Emilie, the eco-conscious, educated cat parent. Emilie is a young cat parent (under 40) who feels strongly about feeding her pet correctly – healthy, natural ingredients are major purchase drivers for her. Emilie spends time investigating nutritional information and food quality. She carefully selects the products she purchases, whether they are dry foods, wet foods or treats, and predominantly buys these online. She is strongly driven by real meat and grain-free products, often adding supplements to cover all facets of health and nutrition for her cat. Emilie does not trust major brands, nor is she influenced by advertising or veterinarian-sold products; she prefers to do the research herself.